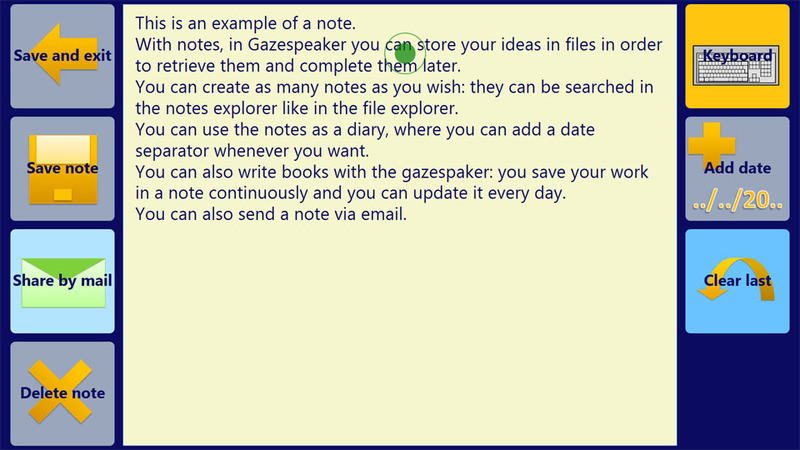 This is a great new feature in Gazespeaker: you can now create as many notes or texts as you wish, save them and retrieve/edit them later, only with your eyes. 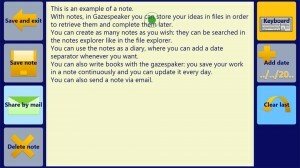 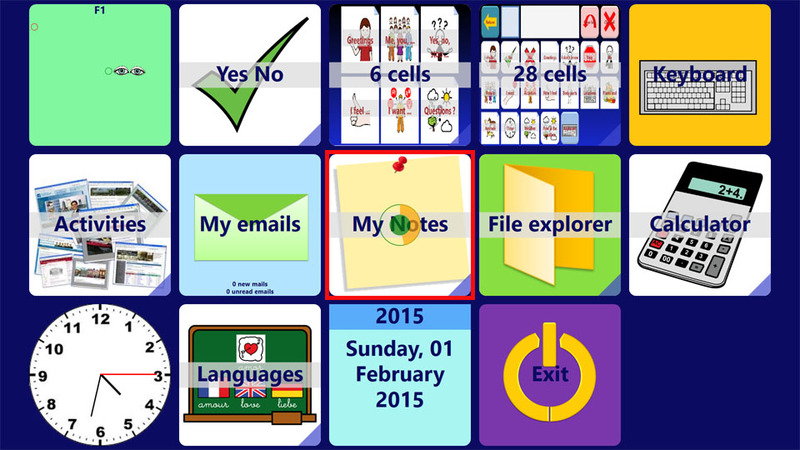 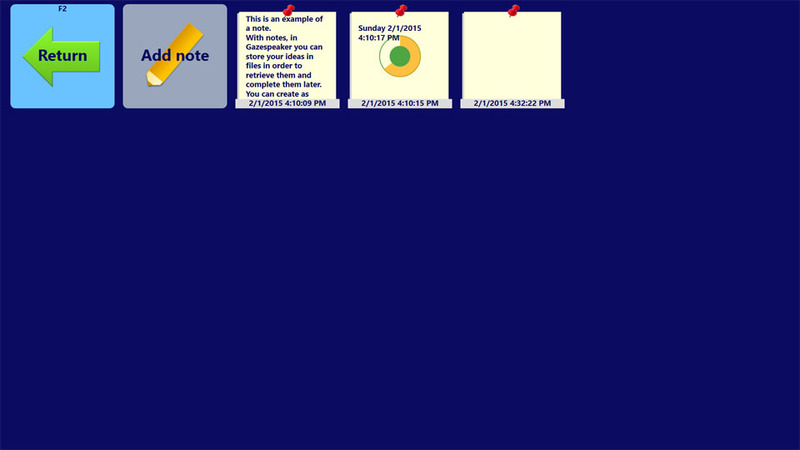 you can edit the note with the keyboard, add date separators (this can be useful in a diary for example), share this note by email. 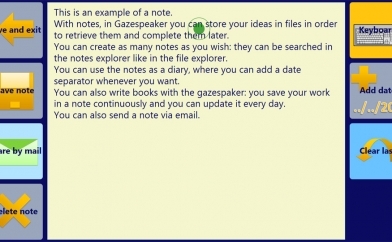 Notes are automatically saved when you exit this grid.